This post will be, as the title indicates, five albums that really disappointed me when I first heard them. Sometimes there are albums that don't live up to expectations or are just hyped far too much, and sometimes a band that has produced some good music takes a new musical direction that leaves its loyal fans twisting in the wind or just simply flops. Three Days Grace was one of the first bands I really enjoyed, mostly because of the raw emotion in their songs. After the success of One-X, which is still one of those hard-rock albums that I do enjoy listening to on occasion, my immediate thought was that the band would continue on that path in a way. One-X had a lot of elements to it musically, I could always here some metal influence and of course some grunge-era influence, so I expected a continuation and improvement upon that. I first heard the lead single, that I don't remember the title of, on the radio and I immediately changed the station, then I listened to the rest of the album on YouTube or iTunes thinking that maybe the single wasn't anything like the rest of the album. I was wrong and the album sounded terrible to me, it felt like a band with potential wrote what the label or what the mainstream pop fans wanted and I still hope that they will do as Metallica has done by reverting to the playing great music again (maybe a little thrash metal influence would sound good on a Three Days Grace album to), but they haven't and this album was the foundation for my extremely low expectations of this band. If this was the first Bullet For My Valentine Record I had listened to I wouldn't be a fan and I certainly wouldn't cite them as a musical influence. Their first E.P was solid but left some room for improvement, the debut (The Poison) improved but still was missing a few things to be a classic record as far as I was concerned, then Scream Aim Fire came out and it quickly became a record I would consider a classic. Then there's Fever, which was such a significant drop-off from their prior efforts I naturally assumed deadlines and writer's block had something to do with it, and maybe the fact that the 3rd full-length release from most bands tends not to be as good as their prior releases (with recent bands I've noticed this). 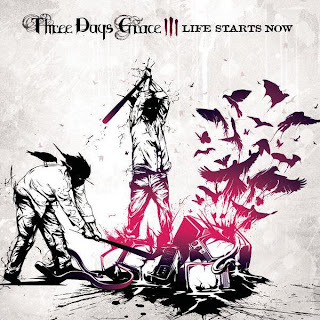 There's nothing more to say than I thought this was one of the worst albums I've ever listened to, and for those who've read my review on Throw The Fight's What Doesn't Kill Us remember, this album and the last one narrowly beat that one out for a spot on this list. 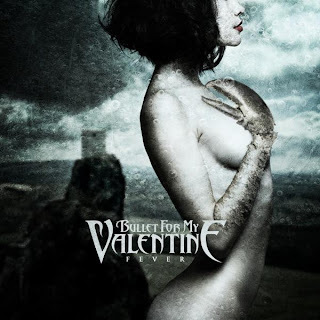 I haven't actually listened to the new release from Bullet For My Valentine but I've heard that it is an improvement and that they are getting back to form. This is certainly not a shock that it made this list, maybe that it's not number 1 will shock some. 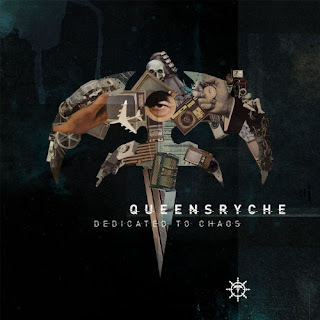 This album is actually one of the worst I've ever listened to in my lifetime but it didn't disappoint me as much as numbers 1 and 2 because Queensryche was going down hill since Empire and they really fell off since Q2K. Despite the poor efforts put forth by the band I would always find 1 or 2 decent songs in every release they had, I mean how could anyone not absolutely love The Chase since it had, well, Dio. 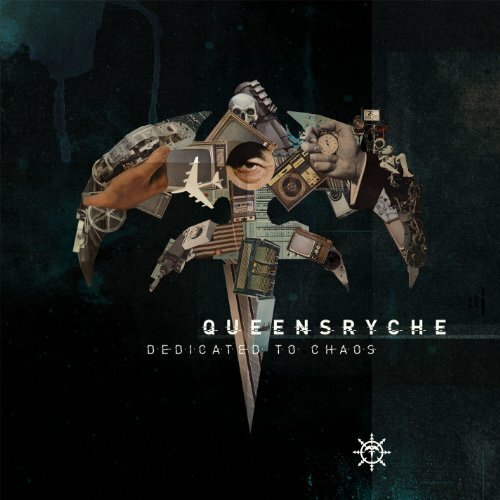 Unlike every other Queensryche release, I could not find a single song I thought was any good and I think that this album is an absolute embarrassment. Since then the Ryche parted ways with Tate, picked up La Torre (who is absolutely amazing live), got into a legal dispute, became 2 bands, saw an embarrassing release with Tate-Ryche's Frequency Unknown which, to it's credit, had a good song on it in Cold... and of course the Todd fronted Ryche (also nicknamed Todd-Ryche and The Real Queensryche) will be releasing a new album soon (June 25th). Just to establish why I say what I say here, I love thrash metal, I love the first 3 Metallica records, I think Metallica through the 1990s and the early 2000s should not have existed... oh, and I thought Death Magnetic was a good record that picked up where ...and Justice For All left off, it would have been better if their guitar tones were more like they were on Master of Puppets, but it was the long-awaited return of a good Metallica record so I will never complain about that. 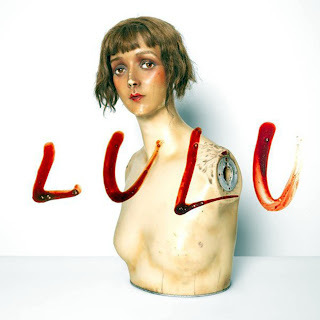 Following that was Lulu, and I honestly thought Lou Reed was just going to be writing lyrics and maybe helping to produce the album or laying down some backing vocals and that it would still be a Metallica record in essence. Clearly I was wrong and it was a monumental let down that pretty much killed the momentum they had going from Death Magnetic. The music was pretty good, not amazing, but solid and with the right lyrics (and singer) would have been a good record. The lyrics were odd at times and the singing was just terrible. Now, I'm not a good singer but as anyone should, I know my limits musically and Lou Reed's voice just didn't fit and the album sounded like it was fighting it's self the whole way through. Pretty soon after that Metallica released Beyond Magnetic with 4 songs that didn't make the cut for Death Magnetic, and I have no idea why they didn't make the cut. After that E.P and some interview clips of them saying the next record will be a continuation of Death Magnetic has given me a ton of hope for the next record. 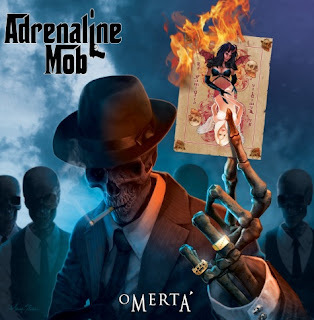 The bassist from Disturbed plus Russel Allen plus Mike Portnoy plus some guitarist I've never heard of got together for this project and I was pumped... then I heard the songs. I didn't expect a Dream Theater meets Symphony X type of thing, and I knew it wasn't going to be insanely technical and challenging music since Portnoy basically said it wouldn't be that type of music and he was just having fun. Anyone who complains about the drumming being to simply really doesn't know a thing about the type of drummer Portnoy is, sure he's a prog drummer in the mold of Neal Peart but he has stated that he's into the simpler stuff like punk and his drumming on some songs for DT or other side projects has shown his array of influences from the simplest styles to the most complex/challenging stuff. I also have no complaints about the bass, it was solid. I'd never heard of the guitarist before, so I can blame a lot on him from a musical standpoint. Now, I do use pinch-harmonics excessively but I don't use them in every single song, and I'm pretty sure most guitarists like to vary their playing from time to time not matter what style they are in, but I have my doubts about this guy. The guitars really just sound like a cheap ripoff of nu-metal bands. This next part has to be its own paragraph. Onto the vocals and lyrics... I really don't know what to say other than "what in the name of anything and everything was that?" In the Allen/Lande Project, he sounds amazing, in Avantasia (the songs he was in) he sounds amazing and in Symphony X he is just phenomenal... I'm not a big fan of his solo album though, but it was still decent. I don't know if tried to sound the way he did or if he did something to his voice during the recording of Iconoclast but he doesn't sound very good compared to how he always sounds and in general. The lyrics are not very good either, they have nothing to them and have no personality to them at all, plus no imagination or power. To be brutally honest, this was a disappointment because the songwriting was weak, the guitars were unoriginal and dull and the vocals sounded awful. So, there you have it my top 5 albums that disappointed. If you think I missed any or picked the wrong album(s) mention it in the comments, and remember this is all my personal opinion. Also, voice your opinion if you want to but keep it respectful since not everyone is the same (some people may love the albums I put on here).